Xiaomi Republic Day Sale on its Mi Online Store on January 24th till 26th. 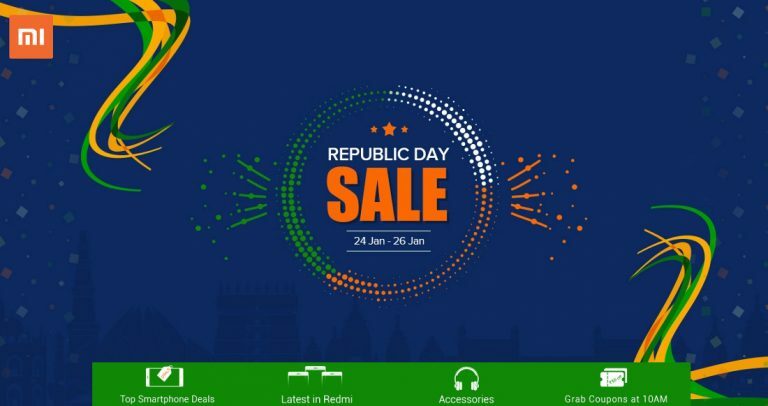 In the sale, it will have offer discounts on smartphones and accessories, and will also allow you to grab discount coupons (Rs. 50, Rs. 100, Rs. 200 and Rs. 500) January 24th at 10AM. Mi A1 will be available for Rs 13999, Xiaomi will also be offering discounts on cases for select smartphones. It will also be stocking 10000mAh and 20000mAh Mi Power Bank 2i during the sale.